Produce five verified views following standards outlined in the Verified Views Methodology document. Also produce 3 non-verified views. 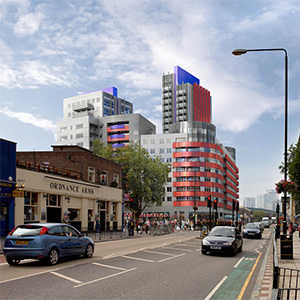 Plans for Rathbone Market, English Cities Fund's £180 million mixed-use development in the heart of Canning Town, have been approved by the London Thames Gateway Development Corporation (LTGDC). The development will have a residential and retail focus, with new community facilities for the area along with a rejuvenated market. Proposals include a 21-storey building at the western end of the scheme. 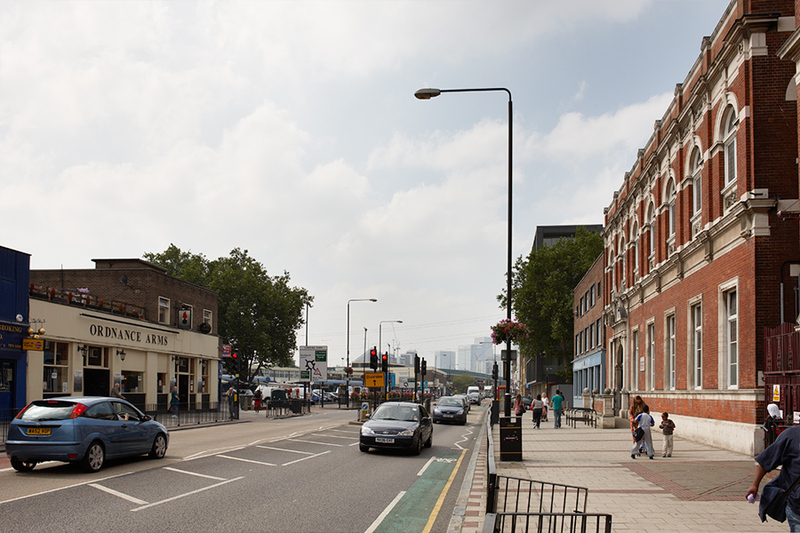 Rathbone Market is a key part of the Canning Town and Custom House regeneration area (the seventh largest in the UK), being master minded by LTGDC and landowner, the London Borough of Newham. The 680,000 sq ft scheme will be one of the first sites to be developed within the overall masterplan for the area. 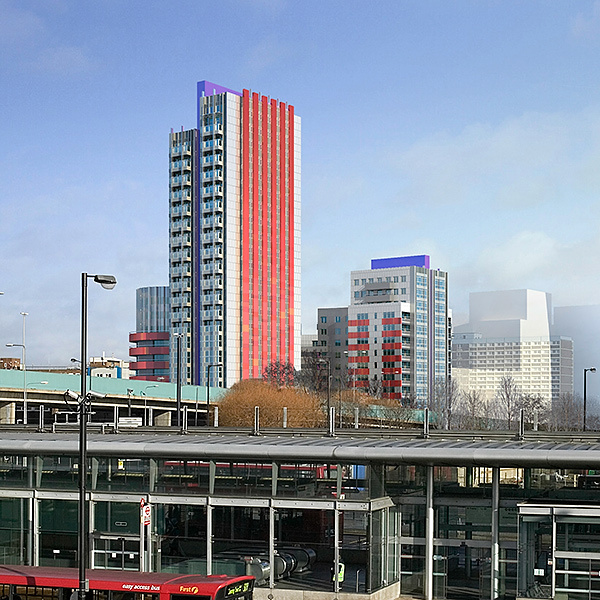 Located close to the heart of one of London's best transport interchanges, with the DLR and Jubilee Lines on the site's doorstep, residents of the area also have unparalleled access to the West End, the City, Canary Wharf, Stratford and the site of the new Olympic Village. 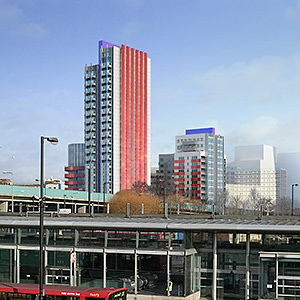 Canning Town is also just a short journey from London City Airport, providing fast links to the rest of the UK and Europe. 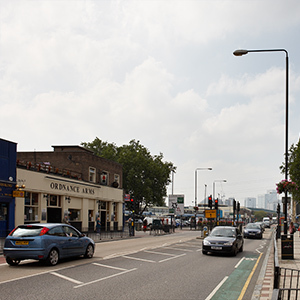 Rathbone Market, Canning Town is one of six UK schemes being delivered by English Cities Fund, a public-private regeneration partnership involving the Homes and Communities Agency (HCA), Muse Developments and Legal & General. 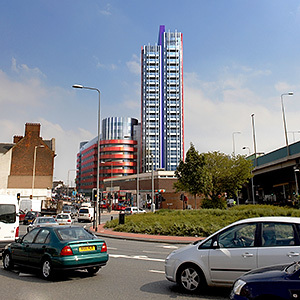 The images were combined with rendered images to create photomontages used as part of the supporting evidence for the successful planning permission submission. 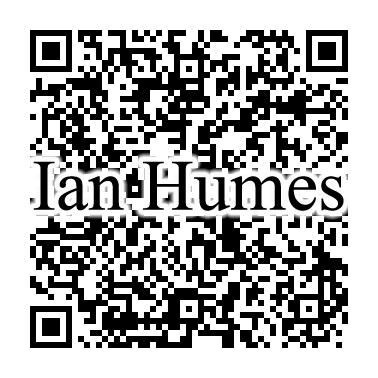 Coordinates for Rathbone Market Verified Views project. The coordinates and links included here are not those supplied by the surveyor but are supplied before the surveyors information is available to aid in the understanding of the location of the photographic images. These were generated on site by a hand held GPS and are supplied only as an aid to visualisation. These links will open in a new window/tab when selected. Rathbone Market proposed view from the DLR. 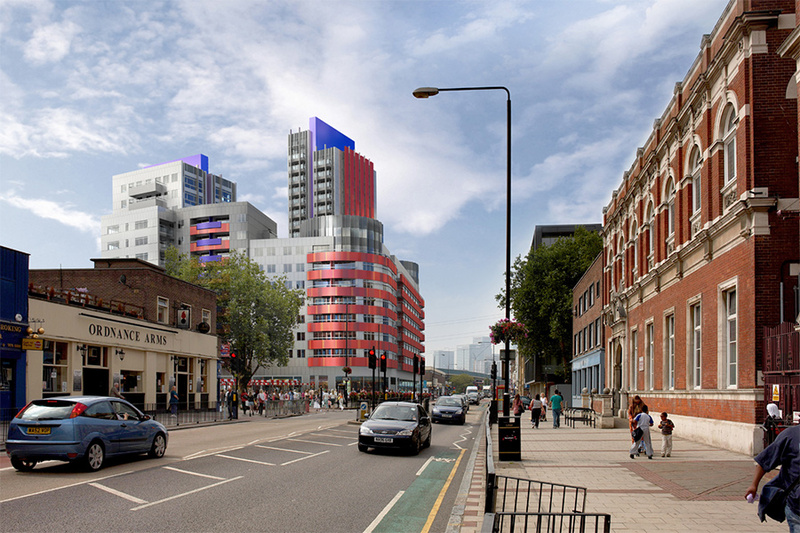 Rathbone Market proposed view from junction of Manor Road and Barking Road.